Use 100% of your credit limit as cash without any hassles of a regular credit card. 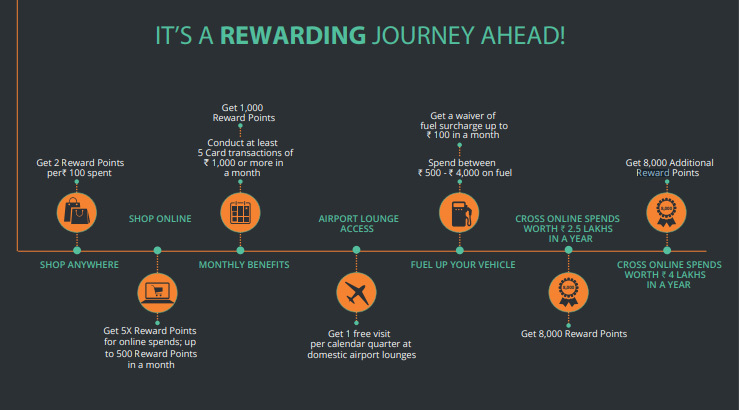 Enjoy the benefits of a flexible credit line and earn rewards worth up to ₹ 10,000. What Makes MoneyTap Credit Card 2.0 Different? How to Apply for MoneyTap Credit Card 2.0? Fill in your basic details like your age, city, PAN number and income to determine if you qualify for MoneyTap’s credit line in real-time. Once you are pre-approved for MoneyTap’s personal line of credit, a KYC visit will be scheduled for collecting documents which are then verified for a final approval. After the final approval, the money will reach your bank account in a jiffy! You can either withdraw your entire approved limit in one go or as little as ₹ 3,000. Repay your borrowed amount in easy EMIs with convenient tenures that range from 2 months to 36 months, and track every transaction in one place! 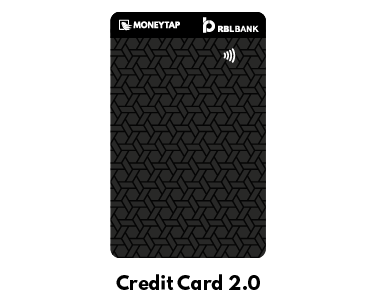 *Note: MoneyTap Credit Card 2.0 is available only for RBL bank approved customers. Someone like you is happy with us.
" It feels great to have an app like MoneyTap to make any money transactions and also view it whenever required. The app is quite user-friendly and easy to use. I would suggest anyone requiring a credit card to go with MoneyTap." " This is an amazing app. The application process on the app is very simple. Within minutes, I got to know my eligibility. The option of paying back in EMIs was very good. I liked the passcode verification on the app very much, it adds lots of security. " A credit card allows the cardholder to buy goods and services on the condition that the amount has to be repaid with interest every month. In simple terms, a credit card can be used for buying a pizza or a ticket to France – depending on the approved limit. Why credit cards are important? Credit cards give you buying power that is instant when you don't have cash on hand or when you don't want to use cash. From purchasing groceries and shopping online to booking a hotel room and renting a car on a vacation; credit cards are a quick, convenient and secure mode of payment for people. CVV is short for "card verification value". It is generally the 3-digit number located at the back of the card, to the right side of the signature strip. However, it may differ for different types of credit cards. In the case of VISA and MasterCard, the CVV number is always the last 3 digits and in case of American Express credit/debit card, it is a 4-digit code. The basic difference between a debit and a credit card lies in the way these cards pull money. With a debit card, the money is deducted from your bank account but with a credit card, you're borrowing the money and so, it is charged to your credit line. What is the major difference between Visa card, MasterCard and RuPay card? MasterCard and Visa are global card companies that manage credit cards while RuPay is India’s domestic payment processing network designed to substitute international payment networks like Visa, MasterCard, and American Express. As the name implies, these credit cards have an easy online application system that offers a quick decision on whether you qualify or not so, within a few minutes you know if you’ve been approved or not. If you are shopping online, is it better to pay by credit card or debit card? According to experts, credit cards are relatively more secure as they come with added protection, attractive discounts and reward programs that make them a better payment option. A credit card balance transfer is when you repay the balance on your existing card or personal loan by transferring the outstanding amount to another card so all your debt gets consolidated and you need to track only one payment. Credit card interest rates are typically charged at a yearly rate and this rate is known as the annual percentage rate or APR. However, on most cards, you can avoid the interest charges if you are regular with your monthly payments. Will the bank check my CIBIL score before processing the credit card? Yes, before approving the loan they need to verify your creditworthiness and repayment ability. 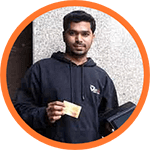 Does having a Credit Card affect my CIBIL Score? Yes, a credit card will affect your CIBIL score positively if you make the minimum monthly payment by the due date. Similarly, if you miss out on credit card repayment, it is sure to hurt your CIBIL score. What does it mean to be “pre-approved” for a credit card? When you apply for a credit card online and get pre-approved, it means that you meet the eligibility criteria and qualify for a credit card. What happens if I pay more than the total amount due on my credit card? If you pay more than the amount due, the balance amount gets added to your credit limit. Can I repay credit card bills earlier than the specified date? Yes, you can prepay your outstanding bills before the due date. Can I use my credit card for international transactions? Yes, you can use it for international transactions for which standard international charges are applicable at various merchants. Will there be any interest charges on my credit card? No, there are no charges on the card if you repay your spends on time. Timely credit card repayment also improves your CIBIL score. The charges you make on the card are interest-free as long as you repay by the due date every month. With MoneyTap, you also have the option of converting every card swipe that exceeds ₹ 3,000 to EMIs if you don’t wish to repay during the billing cycle. The applicable interest rate along with service charges will be reflected in real-time on your app as soon as you convert the purchases into EMIs. I want to convert a transaction into an EMI. What are the EMI tenure options available? If you convert your card spend to EMIs, you can repay within 2 to 36 months depending on your cash flow and convenience. How much cash can I withdraw from my MoneyTap Credit Card 2.0? With MoneyTap Credit Card 2.0, you can withdraw your entire approved limit right away. MoneyTap is India’s first credit card to offer the feature of 100% cash withdrawal in one go! Can I increase my credit limit later? Yes, your credit card limit can increase if you pay your EMIs and bills on time. There is a very good chance that our partner banks will raise your limit provided you don’t have other loans that reduce your repayment ability and you haven’t seen a significant reduction in your income. Our credit card repayment works just like any other credit card bill payment. You would be directly paying to our partner bank. The app will display the amount you owe and also send you a repayment reminder. You can choose to make the credit card payment online using your app or repay through a cheque. Can I get a credit card if I have a bad credit history? You require a good credit score to get approved for credit cards or loans for buying a car, home or consumer durables. Once you start using MoneyTap and withdraw cash or convert card swipes into EMIs and make timely monthly payments, you start building your credit history and this is the best way to improve your CIBIL score. However, if you delay or default your monthly credit card payments, your credit score will be impacted. But you don’t need to worry because we will be reminding you regularly on your app so you don’t miss your credit card payment. How often can I change my credit card limit? Our bank partners raise your credit limit based on your income, credit history and the details you give on the app about yourself. However, this limit can also be decreased or blocked based on your repayment pattern. What are the key charges applicable on credit cards? ₹ 499 + GST as Annual Line Setup Fee in order to avail of the MoneyTap facility. This amount allows us and our banking partners to “block” the amount of money so that you can withdraw it 24 hours a day, 7 days a week. 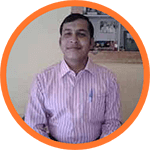 The above fee also includes all the initial home visits and processing of your KYC. The annual fee is waived off the year after you sign up if you transact for more than ₹ 1,00,000. Any payments you make using the card while shopping will be interest-free provided you pay it back within the due date every month. You will also have the option to convert any card spend of more than ₹ 3,000 to EMIs on your MoneyTap app if you do not want to pay it back during that billing cycle. The interest and service charges will be shown to you on your app at the time of conversion. Zero pre-payment penalties: If you choose to make a full repayment of any one of your withdrawal amounts ahead of time, we charge zero pre-payment penalties. There is no fee for downloading the app and getting the approval. Even if you are denied for any reason, you will not pay any fees. Are there any cash withdrawal fees applied on MoneyTap credit cards? Every time you withdraw money from the app, you are charged 2% plus service tax as processing fee only on the amount of cash withdrawn and this fee gets added to your next credit card statement. Am I eligible for a MoneyTap Credit Card 2.0? Full-time employee or self-employed professional with a net income of ₹ 20,000/month. Age should be above 23 years and below 55 years. Business owners should have a minimum monthly income of ₹ 20,000. Bangalore, Delhi NCR (Delhi, New Delhi, Noida, Greater Noida, Ghaziabad, Faridabad, Gurgaon), Mumbai (Mumbai, Navi Mumbai, Thane), Chennai, Pune, Hyderabad, Secunderabad, Gandhinagar, Ahmedabad, Chandigarh, Jaipur, Vadodara, Mohali, Anand, Panchkula, Vijayawada, Vizag & Indore. How do I apply for a MoneyTap Credit Card 2.0? You don’t need to apply for a credit card because you get a MoneyTap Credit Card 2.0 as an additional bonus feature when you apply for your Credit line. What is the status of my credit card? Your MoneyTap Credit Card 2.0 will be issued once your credit line is approved. When the credit card is dispatched, you will get an SMS with the courier name and the required tracking details. How can I view and download my credit card statement? You will receive your credit card statement every month on your registered email app. You will also receive an SMS 3 days before your email statement is generated. How can I generate or change the PIN for my credit card? You can generate the PIN for the first time from the MoneyTap app. If you want to change the PIN, you need to contact the bank. How can I block my MoneyTap Credit Card 2.0? You can contact the RBL Bank to block your MoneyTap Credit Card 2.0 by reaching out to them via e-mail: cardservices@rblbank.com or call on their toll-free number: 1800 121 9050. What is the spending limit of MoneyTap Credit Card 2.0? You can spend as much as your approved credit limit and to see your approved credit limit, you can check the MoneyTap app. In how many days will I receive my credit card? You should receive your credit card within 3 - 4 business days after your credit line is approved. 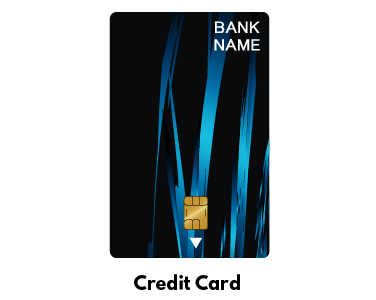 For security reasons, you need to receive the card first to transfer the money from the app. Will I get a MoneyTap credit card if I don’t have a bank account? No, you can’t get a MoneyTap credit card if you don’t have a bank account. Will I be issued an add-on card on my principal card? No, you won’t be issued an add-on card. How can I renew my credit card? You can contact the RBL bank when you want to renew your credit card. What is the minimum salary criterion for a credit card? The minimum “in-hand” salary required to get approved for MoneyTap Credit Card 2.0 is ₹ 20,000. Will I get rewards or loyalty points for using my MoneyTap Credit Card 2.0? Will I be eligible for reward points on cash withdrawals or credit card transactions or both? Reward points are valid only on credit card transactions. What if I cross the credit limit on my credit card? You will receive an overlimit email but you need not worry. Just wait for the statement to be generated and pay accordingly. What is the billing period on my credit card? The billing period depends on your approval but you can easily check your credit card billing cycle on the MoneyTap app. You don’t receive the credit card PIN. For security reasons, MoneyTap requires that you generate the PIN on your app. You can contact RBL Bank to block your MoneyTap Credit Card 2.0 by reaching out to them via Email: cardservices@rblbank.com or at the toll-free number: 1800 121 9050. Here is their website for further assistance: www.rblbank.com. How can I make the payment towards my credit card EMI transactions? Go to the app and you will find the settings button on the top right corner. Click on Make Payment and it will take you to the Payment page where you will be asked to give your card and account details for processing the payment. You can also visit http://www.rblbank.com/make-your-credit-card-payments-instantly.aspx if you wish to make the payment through a NEFT transfer, ECS or through a Bank branch. What is the annual fee for MoneyTap Credit Card 2.0?